Human Rights Activists News Agency (HRANA)- Azerbaijani activist Mohammad Khakpour received a writ dated November 14th, ordering him under threat of arrest to appear at Branch 1 of the Ardabil Investigation and Prosecution Office within the next five days. Khakpour was among a group of Ardabil residents arrested for their participation in Azerbaijani cultural gatherings last July. Marking the season of annual crackdowns on these gatherings — which in recent years have gravitated to Babak Fort — at least 80 Azerbaijani activists were arrested that month. Khakpour was held in custody for three days. Fort Babak, a monument built during the pre-Islamic Sasanian period, is the namesake of Babak Khorramdin, who led an uprising against the Abbasid caliphate in 893. In recent years, it has become a place of symbolic gathering for Azerbaijani activists, especially during annual commemorations held in the first week of July. Human Rights Activist News Agency (HRANA) – Local sources have recently reported the violent arrests of two ethnic-minority cultural activists. Their stories are below. Ardabil security forces assaulted and arrested Azerbaijani activist Habib Sassanian November 8th, releasing him one hour later on bail. His court hearing was scheduled to take place on November 10th. According to a close source, security forces showed up at the home of one of Sassanian’s relatives, laying into him immediately and arresting him without a warrant. Photos of Sassanian’s wounded face were provided to HRANA, and a close source affirmed that his face, right eye, and scalp were left swollen. Ardabil is a city in northwest Iran, home to Iran’s Azerbaijani ethnic minority. Ahwazi Arab cultural activist Yousef Savari, of Dasht-e Azadegan County in Iran’s southwestern Khuzestan Province, was arrested by security forces and taken to an undisclosed location on November 8th. Security forces reportedly assaulted his parents at the time of his arrest. A local source told HRANA that IRGC intelligence agents stormed the Savari family home in the morning of November 8th, beating 76-year-old Mehdi Savari and 65-year-old Nasimeh Savari before taking their son Yousef into custody. Recording with their cell phones, the intelligence agents then coerced Savari’s parents to make incriminating statements about their son Isa Savari, who currently works for a television station in Holland. No information is currently available on Yousef Savari’s whereabouts or the reasons behind his arrest. Hundreds of Ahwazi Arab activists have been arrested and detained since the September 22nd armed attack on an Ahvaz military parade that killed and injured dozens of civilians. Khuzestan Province, located on Iran’s southwest border with Iraq, is home to Iran’s Ahwazi Arab ethnic minority. 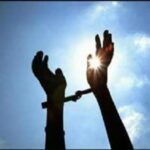 Human Rights Activist News Agency (HRANA) – Iranian citizens and legal residents, once placed behind bars or accused of a crime, have seen their lawful rights and dignities abruptly revoked. Below are a few of their stories. Sardar Osman Bakr, a Sunni Kurdish prisoner serving a five-year sentence in Urmia Central, has been charged with “propaganda against the regime” and will now be serving six. 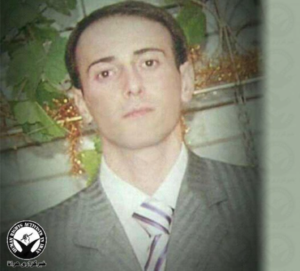 An Iraqi national who has held legal residence in Iran for the past 10 years, Bakr was arrested, charged, and sentenced in 2016 on charges of “membership in anti-regime groups with religious ideologies.” He was held in solitary confinement for 10 days in a Ministry of Intelligence Detention Center earlier this year, before being transferred back to Urmia Central Prison to be interrogated on the “propaganda against the regime” charge. Branch 3 of Urmia Revolutionary Court convicted Bakr of the new charge in September 2018, compounding his prison term by an additional year. He is currently being held in Ward 12 of Urmia Central. On November 10th, Azerbaijani activist Ulduz Ghasemi was sentenced in absentia to one year in prison by Urmia Revolutionary Court Branch 1. Ghasemi is from Urmia, in Iran’s northwest. Read more about Ghasemi’s activism and legal ordeals here. West Azerbaijan Appeals Court Branch 13 has upheld a five-year prison sentence for Sunni prisoner Eslam Mostafaie, of Mirabad. He has been in Urmia Central Prison for the past three months. Charged with “membership in Salafi groups,” a close source said, Mostafaie was denied a lawyer throughout judicial proceedings that ended with his August 2018 conviction in Urmia Revolutionary Court Branch 2. 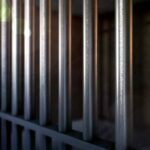 According to the source, he was held in solitary confinement in a Ministry of Intelligence detention center for 17 days after his arrest and is now being held in Ward 12 of Urmia Central. Mirabad is a city in West Azerbaijan Province. Judge Ali Sheikhloo of Urmia Revolutionary Court Branch 2 has denied the conditional release request of political prisoner Azad Mohammadi, currently being held in Ward 12 of Urmia Central prison. The court’s decision was dictated to Mohammadi on Tuesday, November 13th. Mohammadi had previously stopped hunger striking when prison authorities verbally engaged to negotiate with the Judiciary for his conditional release. Mohammadi was among a group of prisoners swayed to end their coordinated hunger strike on October 23rd by similar promises from prison authorities. Upon his arrest in 2015, Mohammadi spent three months in an IRGC Intelligence detention center. Without ever having access to a lawyer, he was sentenced to five years in prison for “Cooperation with the Kurdistan Democratic Party.” He was subsequently transferred to Urmia Prison. Mohammadi’s sentence was reduced by 15 months when he chose to not protest the charges. He is scheduled to be released in seven months. Human Rights Activist News Agency (HRANA) – Pursuant to the September 22nd armed attack on a military parade in Ahvaz, hundreds of Khuzestani Arabs in Ahvaz, Susangerd, and Hamidiyeh were taken by security officers to undisclosed locations. After recently identifying 179 of these detainees, HRANA has learned the names of ten more, along with the identities of four who have been released pending court proceedings. Hotab Zaheri Sari is reportedly in need of medical treatment for gastrointestinal and disc diseases. As of the date of this report, no further information is available on their whereabouts or well-being. Over the past few days, local sources reported the bail release of jailed Ahvaz residents Saeed Mohammad Saidawi, Sajjad Saylawi, Zawdiyya Afrawi, and Qaysiyya Afrawi. 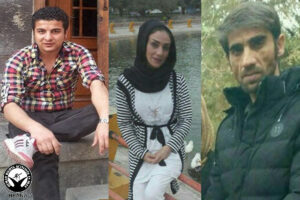 The four await further notification from Ahvaz Revolutionary Court. Human Rights Activists News Agency (HRANA)- Security agents arrested Azerbaijani activist and Tabriz resident Gholamreza Rashidi on Sunday, October 28th and transferred him to an undisclosed location. A source close to Rashidi told HRANA that he was assaulted during the arrest. No information is currently available on the reasons behind his detainment. Tabriz is the capital of the northwestern province of East Azerbaijan, which borders the Republic of Azerbaijan and is home to Iran’s Azerbaijani ethnic minority. Human Rights Activist News Agency (HRANA) – Azerbaijani political prisoner Hakimeh Ahmadi, who underwent hospital treatment for ribcage and finger injuries sustained at the hands of Iranian security forces, is back in Intelligence detention in Marand County. Marand-based security forces entered Ahmadi’s home on October 18th, threatening both her and her spouse with a weapon. She was arrested and transferred without explanation to an undisclosed location, later reaching out to her family from Tabriz Prison. In a video he published October 30th, Ahmadi’s husband Gholamreza Ghorbani related news of her hospital transfer, explaining that authorities had refused to disclose where she had been admitted, forbade him from visiting, and advised him that pending treatments would be at his and Ahmadi’s expense. Ahmadi was previously detained this past September and went free on one billion Rials [approximately $7,000 USD] bail. Meanwhile, on November 1st, Azerbaijani activist Rahman Ghasemi of Urmia was released on bail pending trial. He was arrested October 29th in Tabriz. Ghasemi was previously arrested and interrogated by Urmia police for his attendance at the strictly-sanctioned Babak Fort gatherings this past July. Human Rights Activists News Agency (HRANA)- On October 28th and 29th, respectively, political prisoners Mohammad Ostadghader and Houshmand Alipour were permitted visits from their families for the first time since their arrest on August 3rd of this year. On August 7th, Iranian national television broadcast footage of the young men confessing to an armed attack on a security post in Saqqez. Both stand charged of membership in a Kurdish opposition group, while their supporters assert that these “confessions” were violently coerced. During the family’s visit earlier this week, security agents reportedly prevented Ostadghader and Alipour’s families from obtaining their signatures on attorney retainer forms. No update is currently available on Alipour’s pending hearing in investigations court, which was scheduled for October 4th and later postponed. Houshmand Alipour is from Sardasht, West Azerbaijan Province. Mohammad Ostadghader is from Saqqez, Kurdistan province, near the border with Iraq and home to Iran’s Kurdish minority. Human Rights Activists News Agency (HRANA) – Ten more Ahwazi Arab residents of Susangerd and Shush have been caught in an arrest sweep targeting civilians and activists alike in Iran’s southwest. A September 22nd armed attack on an Ahvaz military parade is presumed to be the pretext for unexplained, unrelenting arrests in the region since that date. In its ongoing coverage of the arrest sweep, HRANA recently published the names of 169 detainees, reportedly only a fraction of those who have already been taken. In the past few days, security forces have added to that list, sequestering a number of citizens in locations as yet undisclosed. As of the date of this report, no further information is available on these citizens’ locations or the charges against them. 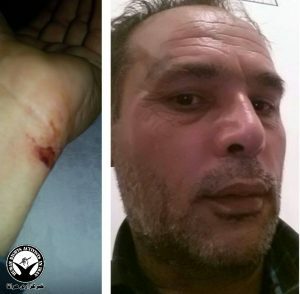 Human Rights Activists News Agency (HRANA) – In their continued persecution of Azerbaijani activists, security forces attempting to extract confessions have reportedly battered two of them severely, landing one in the hospital with broken ribs and injured fingers. 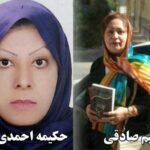 Without explanation, agents arrested Nasim Sadeghi and Hakimeh Ahmadi within three days of each other in late October 2018, and sources close to both women report that they have since been subjected to beatings. In a video he published October 30th, Ahmadi’s husband Gholamreza Ghorbani related the news of her injuries and hospital transfer, explaining that authorities had refused to disclose where she had been admitted, forbade him from visiting, and advised him that pending treatments would be at his expense. Sadeghi, who was transferred from an IRGC intelligence detention center to Tabriz Central Prison on October 29th, confirmed on a phone call with her family that authorities were applying brute-force coercion to make her own up to their allegations, threatening to arrest her children and her sister’s children if she didn’t confess. Security forces arrested Ahmadi on October 18th after inspecting her home and threatening her and Ghorbani with a close-combat weapon; Sadeghi was taken by security forces on her walk home October 21st. 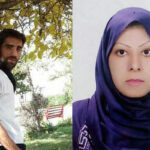 Though Sadeghi and Ahmadi were not told the reasons behind their arrests, an assistant in Branch 19 of the revolutionary and general prosecutor’s office recently explained Sadeghi her charges: “propaganda against the regime through anti-regime news activity in cyberspace.” Initially offered bail during an October 25th court appearance, Sadeghi was kept in custody when security forces objected to her release. Sadeghi was finally released Wednesday, October 31st on a bail of 150 million tomans [approximately $3,500 USD]. As of the date of this report, Ahmadi’s location and charges are still unknown. Both Ahmadi and Sadeghi have previous arrests on their records. 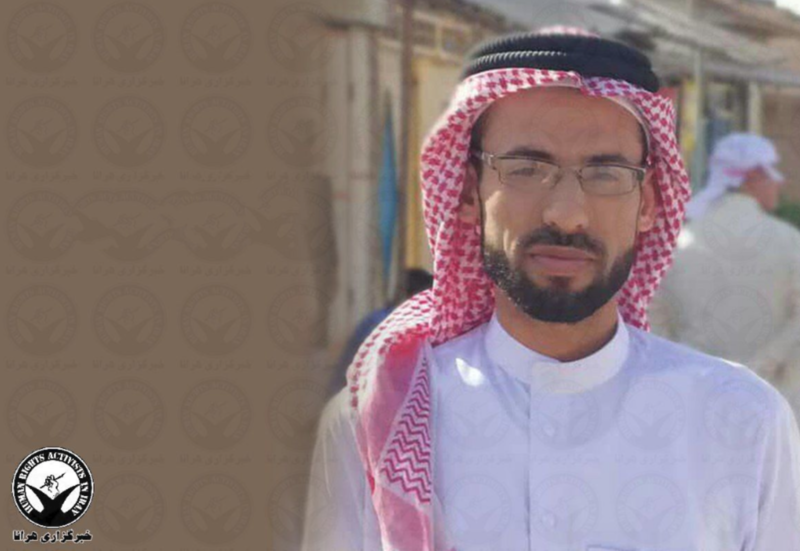 Ahmadi was detained this past September and released on a bail of one billion Rials [approximately $7,000 USD]. 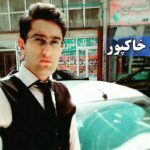 On July 28, 2016, Sadeghi was among dozens arrested for their participation in a public protest against controversial comments published in the newspaper Tarh-e No. She was interrogated for five days in the Intelligence Detention Center of Tabriz for charges of “acting against national security through propaganda against the regime,” brought by Branch 7 of the Prosecutor’s Interrogation Office of Tabriz Revolutionary Court. She was released on a bail of 1 billion IRR [approximately $8000 USD] pending trial. Azerbaijani activists have felt the pressure of intensified security controls in recent months. 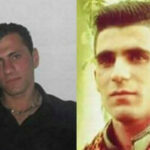 Rahman Ghasemi and Abolfazl Fakouri, recently arrested in Tabriz for unknown reasons and transferred to undisclosed locations, are two more among many who have been unceremoniously swept up. Ghasemi, an Urmia resident, was summoned and interrogated by Urmia security forces this past September. On July 7th, he was arrested amid security crackdowns on an Azerbaijani cultural gathering at Babak Fort and released four days later. Per a recent announcement, the appeals hearing of Azerbaijani activist Kiumars Eslami, also arrested and charged for his presence at Babak Fort, will take place November 17th at 10 a.m. in Branch 1 of Ardebil Appeals Court. Eslami’s cultural activism — including his membership in the Parsabad county Pan-Turkic movement and translation of Persian-language books into Azerbaijani — have earned him accusations from authorities of being “sectarian” and propagandizing against the regime. Tabriz is the capital of the northwestern province of Eastern Azerbaijan, which borders the Republic of Azerbaijan and is home to Iran’s Azerbaijani ethnic minority. Fort Babak, a monument built during the pre-Islamic Sasanian period, is the namesake of Babak Khorramdin, who led an uprising against the Abbasid caliphate in 893. In recent years, it has become a place of symbolic gathering for Azerbaijani activists, especially during annual commemorations held in the first week of July. Human Rights Activists News Agency (HRANA)- Over the past few days, more Ahwazi Arab citizens in the cities of Ahvaz, Hamidiyeh, and Shush were arrested by security forces and transferred to undisclosed locations. They are presumed to have been swept up in an ongoing arrest campaign initiated by authorities after the September 22nd shooting on a military parade in Ahvaz. 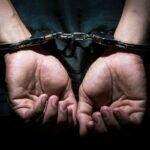 In its ongoing coverage of the arrest sweep through Khuzestan province, HRANA previously published reports listing the identities of 130 detainees. 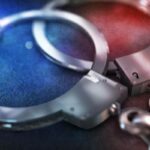 As of the date of this report, no further information is available on these arrestees’ locations or the charges against them.